On its surface, the movie “Vaxxed: From Cover-Up to Catastrophe” appears to be a slickly produced scientific documentary with lots of charts and data about one of the most important issues of our time. The central premise of the film is that the country’s mandatory measles, mumps and rubella (MMR) vaccine – when given to children under age 2 – may be leading to an epidemic of autism diagnoses. • ONE: The most important thing to know is that the link between vaccines and autism has been debunked – widely and repeatedly. The original study that raised the issue was published in 1998 in the journal the Lancet and involved 12 patients who, after receiving the MMR vaccine, suffered ill effects that appeared to be autism. While many researchers were skeptical of the finding, panicked parents in both Great Britain and the United States pushed vaccination rates down sharply. Outbreaks of the measles, mumps and rubella on both sides of the Atlantic soon followed. • TWO: The director of “Vaxxed” – and the main expert who appears on camera – is that same Andrew Wakefield. • THREE: Actor Robert De Niro, who has an autistic son, originally lobbied to put the film on the schedule for the Tribeca Film Festival in March. But several days later, he said he had a change of heart. • FOUR: One of the main figures in the film, CDC scientist William Thompson, is heard only in voice recordings. Those recordings, the movie discloses, were of phone conversations Thompson had with another researcher who secretly recorded the calls. “Oh, my God. I cannot believe we did what we did. But we did,” Thompson says at one point, purportedly about omitting findings confirming a link between the MMR vaccine and autism from an official 2004 report. 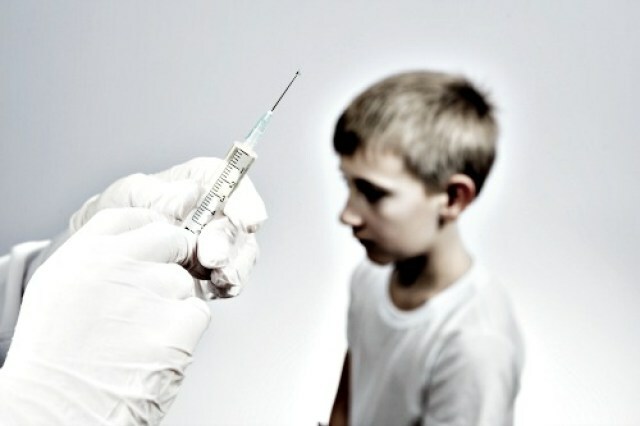 • FIVE: While the issue of vaccines and autism still comes up regularly – as it did when presidential contender Donald Trump mentioned his belief in the theory in a debate last year – most scientists consider the connection between vaccines and autism to be discredited. Dozens of top journals – including the New England Journal of Medicine, the Journal of Pediatric Infectious Diseases and the Journal of Autism and Developmental Disorders – have published papers that looked into a possible link and found none. • SIX: While experts still don’t know what causes autism, it is thought to be a combination of genetic and environmental factors such as infections or exposure to certain chemicals that may lead to differences in the shape and structure of a child’s brain. According to an estimate by the CDC published last year, 1 in 45 (or 2.24 percent) of children age 3 to 17 may have autism – a steep rise over the past few decades. Researchers have theorized that part of the rise could be attributable to a greater awareness of the condition. The CDC said the most recent jump from 2011 to 2014 may have a very mundane reason behind it: a change in the questionnaire the agency uses to track cases.